Posted on July 15, 2014 by Ronald Patrick Raab, C.S.C. I attended a workshop on preaching this morning by Rev. Msgr. Jim Telthorst. 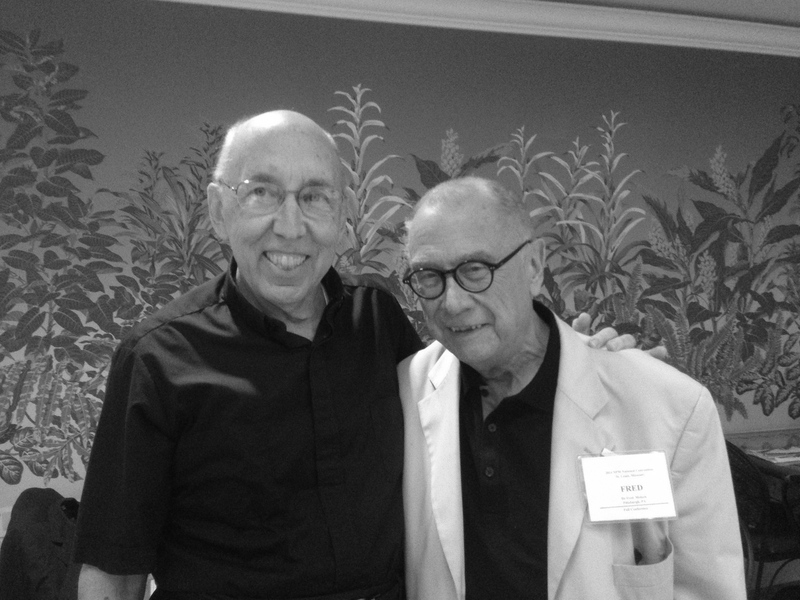 I have known Jim for 35 years and he has been a great mentor of mine in the field of liturgy. He is pastor in St. Louis. We shared a two-hour lunch and ran into another great mentor of mine, Fred Moleck from Pittsburgh. He has edited the GIA Quarterly for 26 years. I have written several articles for the publication throughout the years. Fred was also the musician at St. Joseph Church in South Bend, Indiana. These two men are true giants in the field of liturgy in the United States. So good to be with them again after many years. I owe a great deal of my education and perspective in the field of pastoral liturgy to both of them. HI RON, I REMEMBER JIM WHEN HE WAS AT ST. JOE MANY YRS AGO. HE HELPED FATHER DON DILG AND I WITH THE YOUTH GROUP BACK THEN. BOY HOW TIME HAS FLOWN BY. I THINK JIM IS A LITTLE BIT OLDER THAN I. I RETIRED FROM 41 YRS OF TEACHING SIX YRS AGO THIS MONTH.